The Park's relatively flat terrain makes the 1.5 km walking trail in reach for all ages. Stroll through the traditional "Acadian Forest"-a mixture of maple, birch, hemlock, spruce, fir and pine. Stop, and take in the beauty around you. Little folk will delight in the antics of squirrels and the many forest birds. The more quiet among you may catch a glimpse of deer grouse or ground hog. 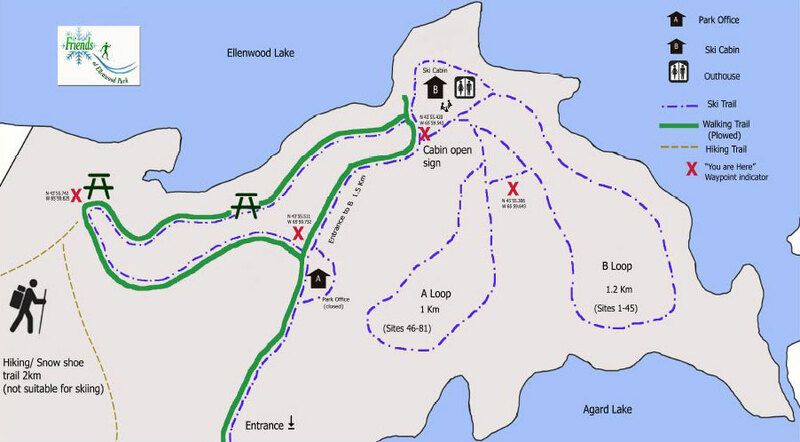 From late-September to April, the Friends of Ellenwood Park encourage people to be physically active by making available a variety of programs for all ages, such as cross-country skiing, snowshoeing, scavenger hunts and nature walks. They help maintain the trails and amenities.